Modified approach offers greater visibility and decreased blood loss and most importantly this modification confers greater stability in preventing dislocation of the Hip Joint. Cadaveric tests done prior to clinical application of this modification, demonstrated better stability, as bone to bone attachment is more stable than a mere suture in the short lateral external rotators. Flat 120/H-2K,First Floor, 152,Kailash Apartments, Malleswaram,8th Main Road, Bangalore-560 003, Karnataka State. India. Introduction: The posterior approach is the most commonly and relatively easy to be used to expose the hip joint. Posterior approaches allow excellent visualization of the entire acetabulum and the upper femoral shaft, and thus they are popular for revision joint replacement surgery particularly in cases where only the femoral component needs to be replaced. There may be a higher dislocation rate with minimal movement as compared to anterior approaches if the posterior approach is used in fractured neck of femur surgery in demented or elderly bedridden patients who often lie crouched in bed with their hips in a flexed and adducted position. The expected purpose of this modification of the Posterior Approach to the Hip Joint is to overcome the fear of dislocation and hence combine the advantages of the Posterior route with greater stability. Technique: The author’s original paper written 30 years ago (Iyer,1981) presented an original technique devised to confer greater stability to the hip joint posteriorly to minimize the greater incidence of dislocation which has been reported extensively in literature. The technique involves an osteotomy of the posterior overhanging part of the greater trochanter to include the insertions of the short lateral rotators along with the posterior third of the gluteus medius, which can then be turned back in one piece like the page of a book to include the capsule of the hip joint. This gives wide exposure of the posterior lip of the acetabulum and is relatively bloodless in its exposure. This approach is very useful in the elderly particularly demented patients requiring a hemiarthroplasty and also in primary and revision total hip replacement. This approach has been tested in cadavers to conclude the greater stability given as compared to the routine resuture or reattachment of the short lateral rotators. Conclusion: The modified technique provides for greater stability as compared to the Southern Approach. In all many approaches to the Hip Joint are described, which mainly depend on the anatomical location around the Hip Joint or have been classified depending on the way the Hip Joint is dislocated, namely anterior or posterior . 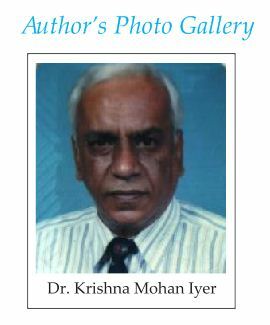 The author’s original paper written 30 years ago(Iyer,1981) presented an original technique devised to confer greater stability to the hip joint posteriorly to minimize the greater incidence of dislocation which has been reported extensively in literature.Approaches to the Hip Joint can be broadly classified as anterior, anterolateral, lateral, medial, anteromedial, posterolateral or posterior depending on their location at the Hip Joint. Historical Aspects: The author’s original paper written 30 years ago presented an original technique devised to confer greater stability to the hip joint posteriorly to minimize the greater incidence of dislocation which has been reported extensively in literature. The technique involves an osteotomy of the posterior overhanging part of the greater trochanter (Fig. 1) to include the insertions of the short lateral rotators along with the posterior third of the gluteus medius, which can then be turned back in one piece like the page of a book to include the capsule of the hip joint(Fig. 2). The flap thus created is turned backwards to expose the hip joint, which is particularly useful in elderly patients when carrying out a Hemi-arthroplasty or primary or revision Total Hip arthroplasty. This approach has been tried in cadavers, which has confirmed its superiority over the conventional Southern Approach, with respect to the stability of the Hip Joint. This approach has been tested in cadavers,(Fig. 3, Fig. 4 & Fig. 5), before any clinical application. Since its description, it has been widely accepted by Surgeons favoring the posterior route to access the hip joint. It has also been widely quoted in literature and textbooks for the last 30 years till to date. Iyer, Shatwell and Elloy(1982) reported on early results in 44 patients who had a hemiarthroplasty done with no dislocation in this series. Mark Coventry(1982) did concur with the concept of this approach in imparting more stability posteriorly postoperatively, as compared to all other posterior approaches to the hip joint described since 1874,which either divide the short external rotators or pass between them which thereby increase the risk of postoperative dislocation of the hip. Hedley et al(1990) have devised a modification of the posterior approach to the hip joint in which the short lateral rotators are resutured during closure of the hip joint. However they do not have any experience with this approach. Beddow and Tulloch(1991) reported on their experience using this approach in 220 cases of primary total hip replacement in which there were only 2 cases of dislocation. James Shaw(1991) mentioned the usefulness of this approach in complex primary cases and revision hip surgery stressing on the excellent exposure of the acetabulum and femoral shaft, while eliminating many of the problems associated with other techniques. He described his own experience by reattaching the trochantric fragment with 2 lag screws. He did stress this approach gives an excellent exposure of both the acetabulum and femur without dissection through scarred anterior or posterior soft tissue planes or forceful retraction on adjacent tissues and that the potential for damage to the sciatic or femoral nerves or femoral vessels is considerably less.He also noted the obvious advantages to postoperative function as the muscle insertions of the short lateral rotators are undisturbed, thereby restoring hip stability and leaving an intact and considerably uncompromised envelope of soft tissues on the prosthetic joint. Terry Canale(Campbell’s Operative Orthopaedics,9th Edition,1992) does make a reference to this approach in their chapters on Surgical Approaches and Complications after Total Hip Arthroplasty with respect to dislocations. Callaghan, Rosenberg and Rubash(The Adult Hip,1998) mention the advantages of preserving the original soft tissue attachments of the posterior aspect of the hip joint,as obtained with this approach. They also stress on the excellent exposure of both the acetabulum and femoral shaft achieved with this approach in being applicable to both revision arthroplasty and complex primary arthroplasty. Thomas Stahelin et al(2002) have stated that the failure rate of reinserted short lateral rotators was extremely high at 70% with majority of failures occurring within the first postoperative day. They also concluded that bone to bone reattachment as done in this approach is more secure, as proved by the cadaveric study. Deepa Iyer(2006) was fascinated by this Orthopaedic Dilema in the elderly that she studied this fracture in detail and noted its importance for the junior doctors in training, thereby decreasing morbidity by early diagnosis and treatment. Robert H.Cofield(2010) of Mayo Clinic in Rochester, Minnesota, USA has been using this approach for the last 25 years with no regrets. He is extremely happy using this approach since it was presented during the Scientific Congress of the Asean Orthopaedic Association in Singapore in 1984. The author has been using this approach for the last 25 years and is extremely pleased with respect to the stability conferred to the hip joint posteriorly. The patient is placed on the sound side. The skin incision extends from just distal and lateral to the posterior superior iliac spine towards the lateral edge of the greater trochanter, with a curve in the direction of the fibres of the gluteus maximus extending down the shaft of the femur for about 10cm.The gluteal fascia and the iliotibial tract are then exposed. The deep fascia is then incised vertically in the lower part of the incision, which is then curved upwards through the middle of the fibres of the gluteus maximus. The muscles now converging on the greater trochanter from above downwards are: gluteusmedius, piriformis, obturator internus, flanked by the superior and inferior gamelli, quadratus femoris and the upper edge of the adductor magnus. All these muscles lie edge t edge, with the sciatic nerve well away from the insertion of the short lateral rotators. The posterior border of the gluteus medius in the upper part and the quadrate tubercle in the lower part are then identified. The greater trochanter is then cut through so that the detached part includes the insertion of the following structures: From below upwards these are the quadratus femoris, obturator internus with the inferior and superior gamelli, piriformis, and the posterior third of the fibres of the gluteus medius. The osteotomy extends from the junction of the posterior third and anterior two-thirds of the lateral border of the greater trochanter obliquely downwards and posteriorly to the shaft of the femur just distal to the quadrate tubercle. The posterior triangular flap containing the overhanging posterosuperior part of the greater trochanter at its apex is then dissected free and turned down to expose the capsule of the Hip Joint. The capsule is then incised to expose the Hip Joint, which is preferable to keep thus created. After completing work on the Hip Joint(Fig. 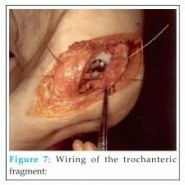 6),the greater trochanter is reattached with two stainless steel wires(Fig.7) and the rest of the wound is then closed in layers(Fig.8). Instability following weakening of the already weak posterior capsule and short lateral rotators of the hip leading to dislocation has been a cause for concern and controversy in the past. The main purpose of this modification is to overcome this danger and yet retain the advantages of the posterior approach. Bleeding is slight in this approach because the plane of cleavage through the gluteus maximus is through its middle, which leaves intact the branches of the superior gluteal artery in its proximal half and branches of the inferior gluteal artery in its distal half. The blood loss is reduced considerably, as the leash of blood vessels which lies at the inferior edge of the lateral rotators is neither cut nor handled. The other advantage is that the sciatic nerve need not be isolated at any step in this modification, and corresponding to the level of the greater trochanter the sciatic nerve lies well medially. Secondly, it is held between the piriformis and the triradiate tendon when the greater trochanter is turned posteriorly, thus preventing movement of the nerve. Union of the trochanteric fragment should occur because the osteotomy is through cancellous bone and in close proximity to the anastomosis in the trochanteric fossa. With this modification, though turned aside, the gluteus medius is cut neither at its insertion nor its origin, thus leaving the abductor mechanism intact. There are certain disadvantages which we have to bear with and which is not in every case treated by this modification, such as heterotrophic ossification, trochantric Osteotomy where the bone takes more time to unite resulting in non-union or fibrous union along with greater trochantric bursitis and also breakage of the wires.In comparison to the conventional sliding trochanteric or extended trochanteric approach, which are more helpful by improving biomechanics of the abductor mechanism in work done on in difficult primary total hip replacement, or failed total hip replacements and in well fixed stem components or in previously osteotomised trochanters, this modification is adequate to carry out routine work on the hip joint. Though Surgeons may adopt any approach to the hip joint in which they are familiar or trained, this modification may be helpful when the greater trochanter is intact in cases when treating a dislocated hip joint, when the blame for the dislocation may be avoided on the posterior approach to the hip joint. Above all the stability offered by this modification of the posterior approach to the Hip Joint should minimize the risk of dislocation as compared to the Southern Approach, because bone is reattached firmly to bone and is more secure than a suture line in the soft tissues. There have been cases of metal failure,non-union of the greater trochanter and heterotrophic ossification which occurs in a minority of cases and is a very small price to pay when compared to the greater stability and function offered by this approach. 2. A New Posterior Approach to the Hip Joint – K.Mohan Iyer, Injury, 1981, 13, 76-80. 4. 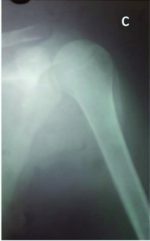 Dislocation After Hip Hemiarthroplasty: Anterior Versus Posterior Capsular Approach J. Bernard Bush, MD; Michael R. Wilson, MD, Orthopedics February 2007 – Volume 30 · Issue 2. 5. Experience with Thompson’s prosthesis using the New Posterior Approach – K.Mohan Iyer, M.A.Shatwell and M.A.Elloy, Injury,1982,14, 243-244. 6. Mark B.Coventry,The Year Book of Orthopaedics ,1982,371-373. 7. A Posterior Approach to the Hip Joint with complete posterior capsular and muscular repair:Hedley et al,The Journal of Arthroplasty,1990,Vol.5,Supplement,October 1990:S 57 to S 66. 9. Experience with modified Posterior Approach to the Hip Joint.A Technical note:Shaw J.A:J Arthroplasty, 1991, Vol.6, No. 1:11-18. 10. Campbell’s Operative Orthopaedics, S. Terry Canale(1992), NinthEdition, Volume 1, Pages:140, 387, 466. 11. Callaghan,Rosenberg and Rubash The Adult Hip(Lippincott-Raven),1998,Volume 1, Pages:700-701,718. 12. Failure of Reinserted Short External Rotator Muscles after Total Hip Arthroplasty-Thomas Stahelin, P.Vienne and O.Hershe The Journal of Arthroplasty, 2002, Vol.17, No.5:604-607. 13. Deepa Iyer The Orthopaedic Enigma:A Simplified Classification.The Internet Journal of Orthopaedic Surgery, 2006, Vol 3, Number 2.